I will say that again, once you are a "Loyal Customer" you get the wholesale price FOREVER! and any non-autoship purchase over $125 ships free. 2. You can purchase from me directly either at a one on one appointment, or at a wrap party or other event. 3. 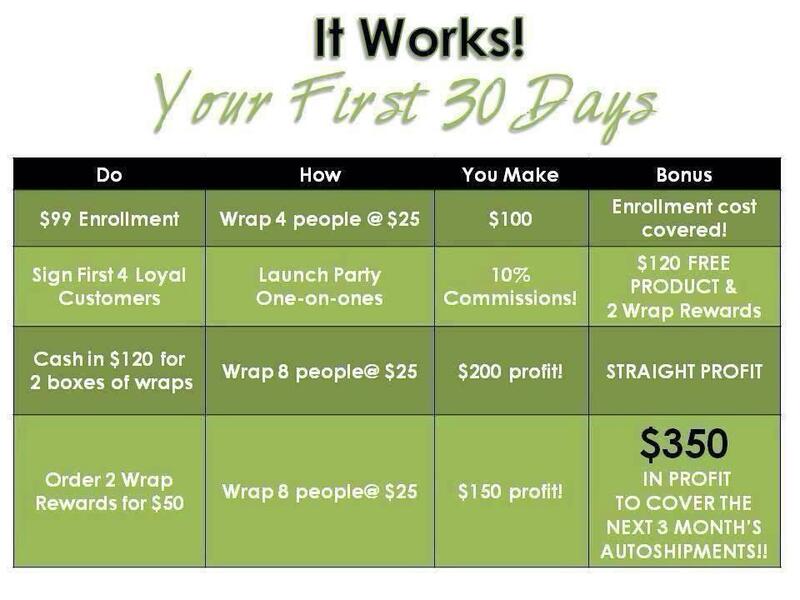 You can sign up as a distributor for only $99 and in the distributor kit there is a box of 4 wraps. 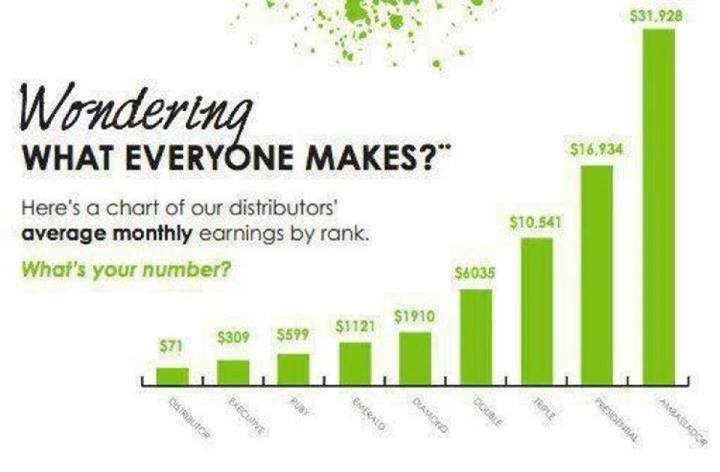 As a distributor you purchase wraps at the wholesale price, can earn CASH selling them at wrap parties. For only $20 per month (first month included in the $99) you get your own website (no designing involved just add your name, phone number, and picture) to sell It works products online! Another tidbit I want to make clear, when you sign up you get a "replicated website" It is where people can sign up as loyal customers and distributors, AND where people can also make retail purchases online and have it shipped directly to them. This invaluable resource is INCLUDED in your business kit, for your first month, after that it is $20 per month. While you are not required to keep the website, it is strongly recommended! People will be able to find you from all over the world, this is a Global company...don't miss out on far away sales! there is a BIG Booster Pack for $499 it includes 8 boxes of body wraps which is a total of 32 wraps!!! and 3 boxes of facial wraps which is a total of 12 wraps! AND a tub of greens, a full size defining gel, and a bottle of fat fighters!!! 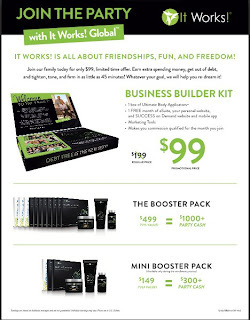 For someone who wants to be "party ready" at a lower price there is a "Mini Booster Pack" for only $149 and it is ONLY available at sign up!!! It has 2 boxes of body wraps (8 wraps total) and 1 box of facial wraps (4 wraps), AND a tub of greens, a full size defining gel, and a bottle of fat fighters!!! Plus you get the chance to try the greens and defining gel and fat fighters, and have them on hand for party demonstrations! 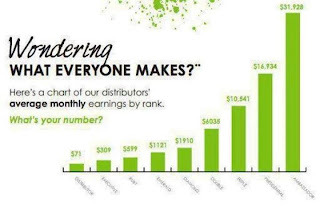 Once you have signed up as a distributor or as we like to say "Join the Party"
Your second step is to get 4 "loyal customers"
So with those 4 loyal customers in your first 30 days you will get $120 in FREE product AND 2 boxes of wraps for $50! This video is from a fellow distributor and it explains the first days of running your business very well! 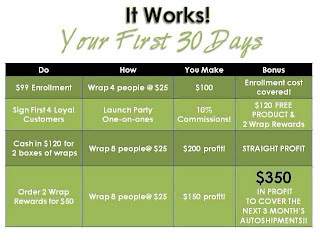 After that just repeat, keep getting loyal customers and distributors, you earn commission of of their purchases, you get wrap cash when you wrap someone. There are bonuses that pop up along the way, this company wants you to make money, succeed, get healthy, help others get healthy, and have FUN!! !